Patients diagnosed with oral cancer tend to mistakenly abandon their dentists for an Oncologic team comprised of Medical Oncology, Radiation Oncology, and potentially Surgical Oncology. 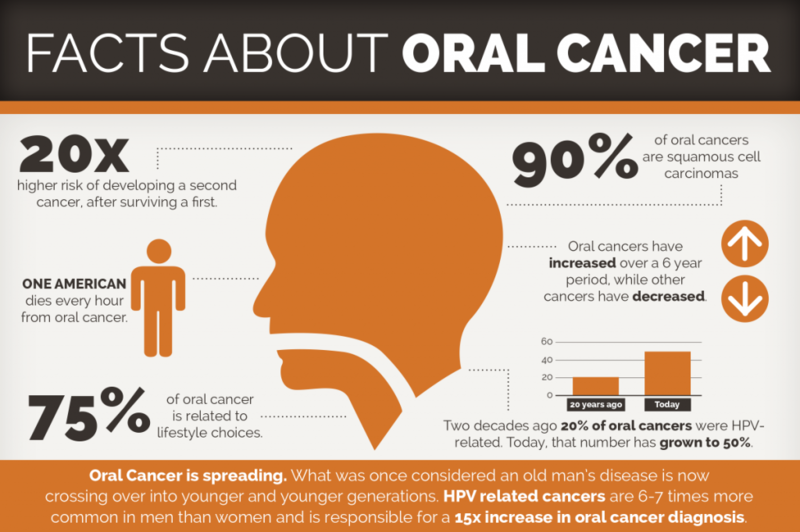 While these specialists administer treatment for oral cancer, potential side effects in the mouth shouldn’t be overlooked. The U.S. Department of Health and Human Services (USHHS) recommends visiting a dentist PRIOR to beginning radiation and/or chemotherapy. The dentist can help protect your teeth, mouth, and bones from potential harm caused by radiation and/or chemotherapy. This could prevent or minimize pain as well as long term damage to your teeth and bones. Additionally, it is the dentist’s responsibility to communicate with Medical Oncologists to determine if there are any contraindications to medications that the dentist may use during dental treatment. If immunocompromised, there is an increased risk for abscesses or infections. Chemotherapies can be stomatotoxic which essentially means treatments that cause damage to the mucuous membranes. Keep your mouth moist with a saliva substitute. Stay hydrated.